​We are located in the historical downtown of Ovando, Montana. Blackfoot Commercial Co has been around since 1897. It as many features, includes Convenient Store, old fashion scoop ice cream, espresso bar, propane, gas station and a tire shop. 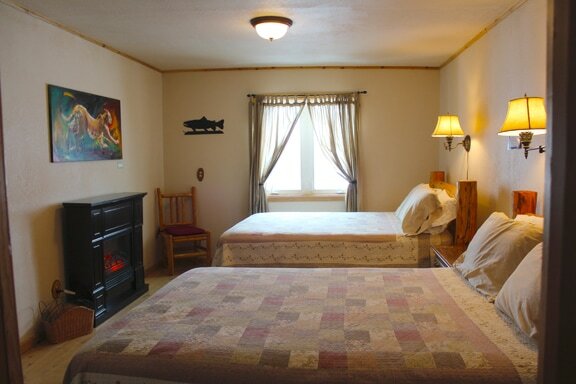 Ovando Inn has six rooms with private baths, shared common area with direct t.v. as well as Wi-Fi, table chairs couch and kitchen. Newly-added laundry is now available. Ovando offers something for all year long hunting, fishing, snowmobiling, cross country, skiing and biking. Inn also rents out for wedding parties, family reunions, and quilting weekends. Your Blackfoot Valley adventure awaits, and we know just the place to stay! When you're stopping by Ovando, come on in and see us at the Blackfoot Commercial Company and Ovando Inn, an old time country store and a great over night getaway. 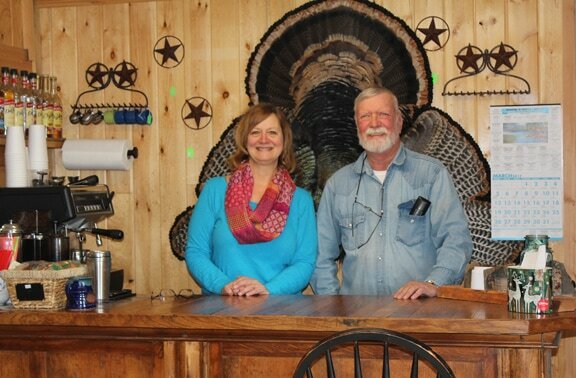 Owned by Fred and Leigh Ann Valiton, the Ovando Inn and Blackfoot Commercial Company is located in a 100 year old historical building that has been the site of the Elkhorn Bar and Cooper's Hotel. The Ovando Inn has six immaculately clean, non-smoking rooms, each with a private full bath; decorated in crisp quilts and historical photos. All are named after famous historical figures of the Blackfoot Valley: Smoke Deneau, Harry Morgan, Charlie Young, Bessie Young and George Monture.